A fashion-forward fabric and sleek flared arms add a bit of pizzazz to this comfortable accent chair. Performance fabric won't pill or snag, giving you a long-lasting chair that looks great even after years of use. 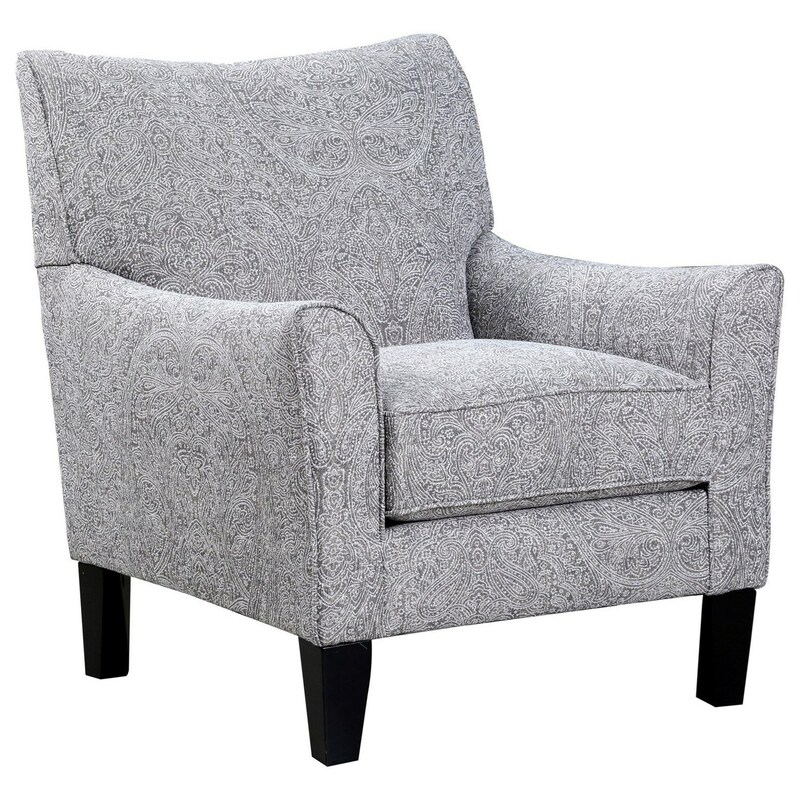 The 2162 Transitional Accent Chair by United Furniture Industries at Miskelly Furniture in the Jackson, Pearl, Madison, Ridgeland, Flowood Mississippi area. Product availability may vary. Contact us for the most current availability on this product. Frame Construction Hardwood and plywood frame. Hardwood parts are used in load-bearing areas for maximum durability.